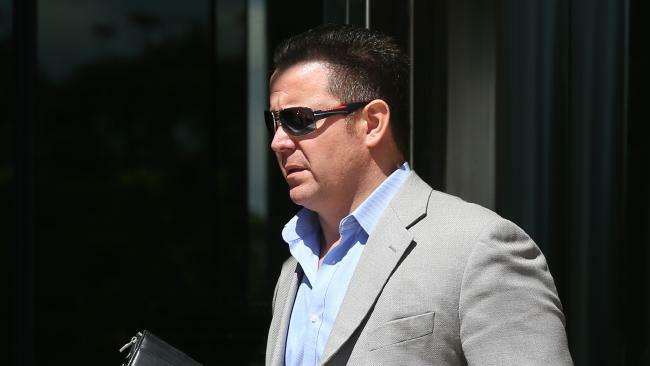 Vitali Roesch was accused of running a scam involving Australian 4WD Hire. A RUSSIAN businessman is ripping off Queensland's car hire customers in an "unscrupulous" scam which takes them for a ride by charging for issues that are "no fault of the hirer", Queensland Parliament has been told. Clayfield MP Tim Nicholls has told Parliament that Australian 4WD Hire "appears to be under the command and control" of undischarged bankrupt Vitali Roesch, who is based on the Gold Coast. Mr Roesch denies all wrongdoing. He was released on immediate parole for a "protracted assault" in 2015 in which his victim scaled the 37th floor of a Broadbeach apartment to get away from him. Mr Nicholls said there were 10 Magistrates Court proceedings commenced by the four-wheel-drive business against customers in the last two years. Claims against customers included a vehicle being submerged in water, damage to an engine caused by contaminated fuel, failure of a radiator bracket and mechanical failure, according to a document tabled by Mr Nicholls. Mr Nicholls said many customers felt intimidated but Mr Roesch denied all of the claims and said there was no scam. "When someone hires a four-wheel drive for the adventure of a lifetime they sign a lengthy standard form take-it-or-leave-it hire contract containing terms which, in my view, are a clear breach of Australian Consumer Law," Mr Nicholls told Parliament on Saturday. "They pay a deposit of up to $5000, sometimes more, and they leave a credit card imprint as additional security. They collect the vehicle, usually from an agency at or near an airport, and head off on their adventure." Mr Nicholls said "this is where it goes wrong". "On many occasions the hire vehicle is not up to the job and breaks down through no fault of the hirer," he said in Parliament on Saturday. "Then Mr Roesch and the company start getting threatening and abusive. "They start debiting the customer's credit card for repairs - in one case for an engine replacement, in others for mechanical rebuilds. There are other scams, of course. "Time does not allow me to cover them but, Mr Speaker, despite reports to the Office of Fair Trading, nothing has been done to date." In documents tabled by Mr Nicholls, it said the four-wheel-drive company had a contract with a clause that says it uses GPS tracking and that customers could be charged $500 for "driver behaviour damage" based on how the car was driven and how fast. Mr Roesch appealed a decision to have his weapons licence revoked in 2013. When he appealed the decision in the Queensland Civil and Administrative Tribunal, the Queensland Police Service said his criminal and traffic history were such that he was not a fit and proper person to hold a weapons licence. It said he had two counts of assault occasioning bodily harm, with convictions not recorded. The QCAT file said Mr Roesch himself had 59 demerit points since 2001, of which 14 were speeding and three were for unlicensed driving. When contacted by The Courier-Mail Mr Roesch denied all of the claims and said there was "no scam". "It is not true," he said. "We not only welcome, we insist an investigation. "We are in court because we are suing people, people are not suing us," he said. "How can it be a scam if damages are about $17,000 in one specific case, we are already down $50,000-$60,000 in legals, what sort of scam is that? That's a really bad scam." Mr Roesch said the company had 9000 happy customers over the last four-and-a-half years. He said GPS tracking had assisted in reducing damages to vehicles and people were charged extra for speeding when they were "flogging the vehicles". "We are allowing people to go to Cape York and the hardest and toughest tracks where no company in Australia will allow you to go," he said. He said consumers could go to the Office of Fair Trading (OFT) or the Australian Competition and Consumer Commission (ACCC) in cases where they wanted to take action. "The only way for it to go for is to courts," Mr Roesch said. "I think for someone going out in parliament blabbing it out without checking the facts first it is actually not a nice thing, not an Australian thing to do." The ACCC said it was unable to comment on complaints about a specific business. The OFT has been contacted for comment.